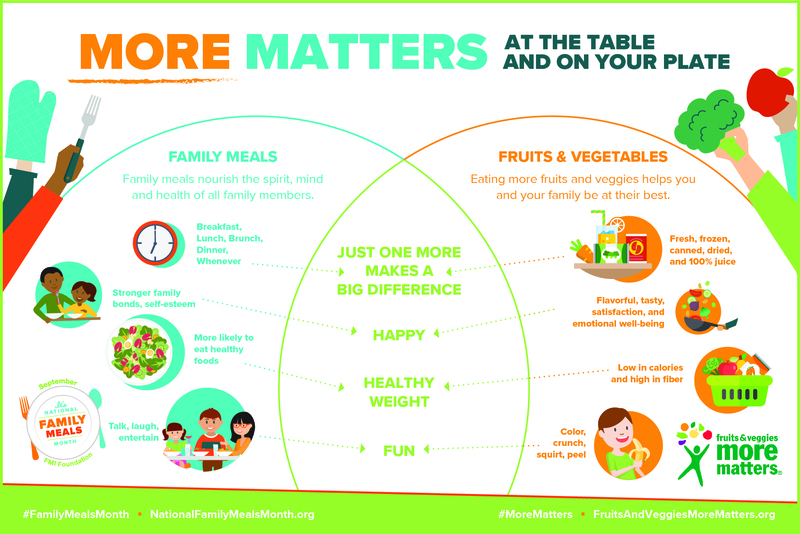 September is National Family Meals Month, a movement to raise awareness of the physical, social, and mental health benefits of eating frequent family meals. Research has demonstrated that family mealtime, when children, parents, and extended family engage in conversation, results in a wealth of positive benefits. Family meals eaten at home have been proven to improve the health and wellness of children and adolescents alike by fighting obesity, increasing access to nutritious food, reducing substance abuse, and creating strong familial bonds. The cumulative impact of family mealtime creates positive impacts not only for our immediate families, but also within our communities and throughout our nation. As a community-owned and -operated business, Mississippi Market cares deeply about the health and wellbeing of you and your family. Your time is precious, and the demands of everyday life can oftentimes get in the way of healthy eating. This month, pledge to eat one more family meal per week at home with your loved ones. Juggling jobs, volunteer gigs, extra-curricular activities, and the on-going demands of a busy modern life often come at the expense of quality family mealtime at home. As your go-to St. Paul cooperative grocer, Mississippi Market is your ally in addressing mealtime solutions. Searching for a quick and easy meal? Pick up a locally-raised free-roaming Kadejan rotisserie chicken at the co-op, along with some Market Made deli salads and fresh fruit for a simple lunch or dinner. When you love food as much as we do, you love a good meal. Enjoy cooking? Browse our collection of co-op recipes for fresh, homemade meal ideas. Family meals strengthen familial bonds and deepen relationships. Family meals nourish the spirit, mind, and health of all family members. Children who eat meals with their family four times a week or more earn better test scores and succeed in school. Sharing one or two family meals per week as an adolescent is associated with lower rates of obesity in adulthood. Family meals foster emotional balance by increasing self-esteem, a sense of wellbeing, positive social behaviors, and stronger relationships. 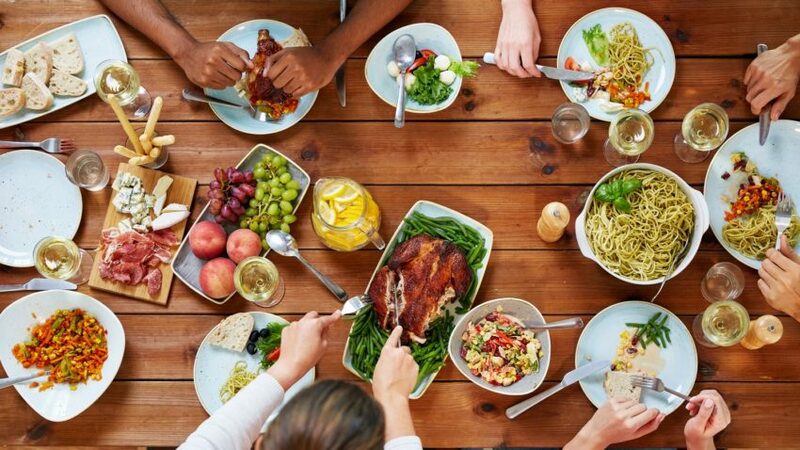 Shared meals can teach family heritage through the cooking and eating of culturally-specific foods representative of the ethnic, cultural, and religious heritage of your family. Family meals fuel better nutrition – the more a family eats together, the greater the chance of consuming healthy items like fruits, vegetables, fiber, calcium-rich foods, minerals and vitamins. Family meals fend off risky behavior – the more families share meals, the less likely children are to drink alcohol, smoke, or use drugs. Join the movement and commit to sharing one additional family meal per week throughout September. Share your family mealtime stories on social media using #FamilyMealsMonth to be a part of the conversation. Follow us on Facebook and Instagram for family meal focused content, including recipe ideas, sales information, and more.